A few weeks ago, Facebook announced that it is opening its Messenger platform for third party apps, games, stickers and GIFs to make it more lively and user-friendly. We saw a plethora of apps related to stickers, GIFs and whatnot after the announcement, but one important thing was missing: a complete, true game for Facebook Messenger which could be played in the messenger. 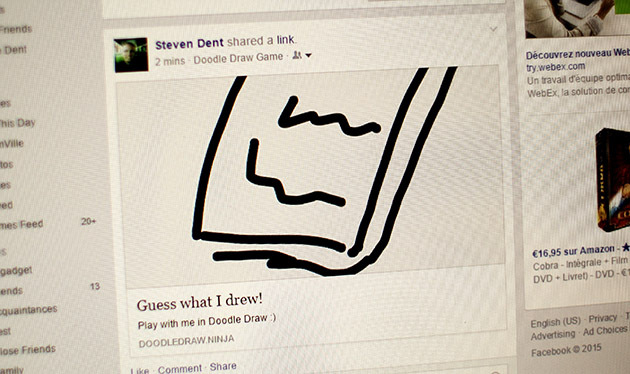 Doodle Draw for Facebook Messenger suggests you a word. It could be any word showing any objects,animals or something else. You quickly draw it in the game interface, share it with your friends over Facebook or in Messenger via Facebook message and they guess what is it. The app awards points to more quizzes and guesses. The app is completely free.